USAGE TIME Talk Time: Up to 10 hours. This good-looking phone provides an affordable option that delivers some of the most popular smartphone features. Whether for work or play, with the ZTE Whirl 2, you can stay connected and share on the go, quickly download the latest games or your favorite album, and much more. And with Android™ 4.3, you can expect all the Google™ applications you use every day Gmail™, Google Play™, Google Maps™ to run smoother than ever before. 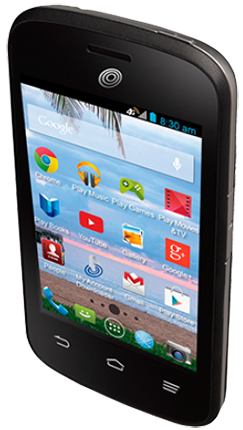 Packed with features, this compact smartphone can be relied on to get you through your busiest days. This Phone works with all SIMPLE Mobile 30-Day Service Plans. No Contract, No Credit Checks. Text ZEZ667G to 611611 for mobile tutorials. This version of Android provides more reactive and uniform touch response, the ability to view full text messages in the Notifications Panel, and more. With 4G you can expect fast downloads, smooth web browsing, and less video buffering. The 3 MP rear-facing camera with up to 4x digital zoom takes high-definition pictures that are bright and clear. And with the VGA camcorder, you can take still shots while recording video. Want your favorite Google applications close at hand? 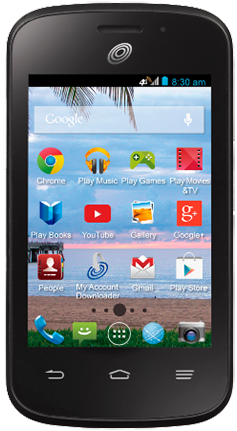 Music, social networking, chats, web browsing, email, navigation ZTE Whirl 2 has it all. With a tap of an app you'll enjoy Chrome™, Gmail, Maps, Google Play, YouTube™, Play Music, Google+™, and Google+ Hangouts™. BATTERY Talk Time: Up to 10 hours.